Future Products provides a wide range of solutions for metal stamping customers nationwide. We are best known for our experience manufacturing tooling to assist customers with their most complex die component needs. We occupy a 23,000 sq. ft. facility in Troy, Michigan and a 20,000 sq. 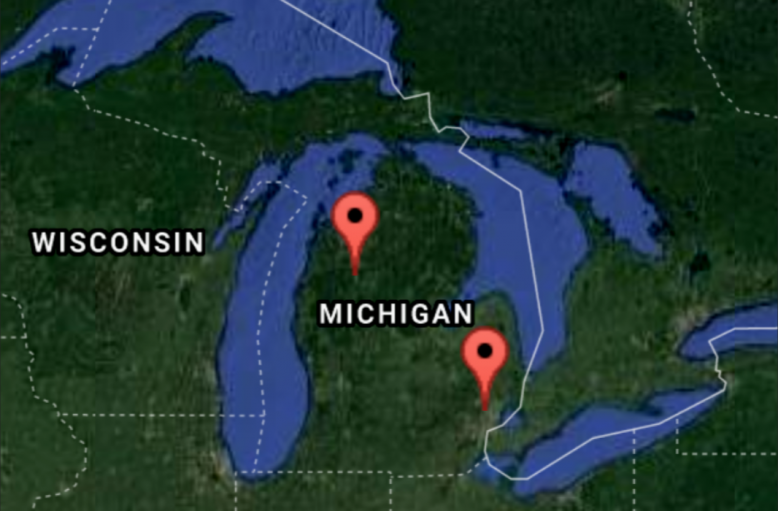 ft. facility in Cadillac, Michigan with the latest in machining, technology, and inspection equipment. 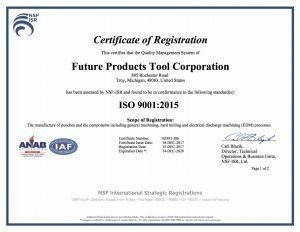 Future Products has been consistently recognized as a World-Class leader of specialized and complex die tools over the course of 50 years, we are proud to have produced over a million die details. 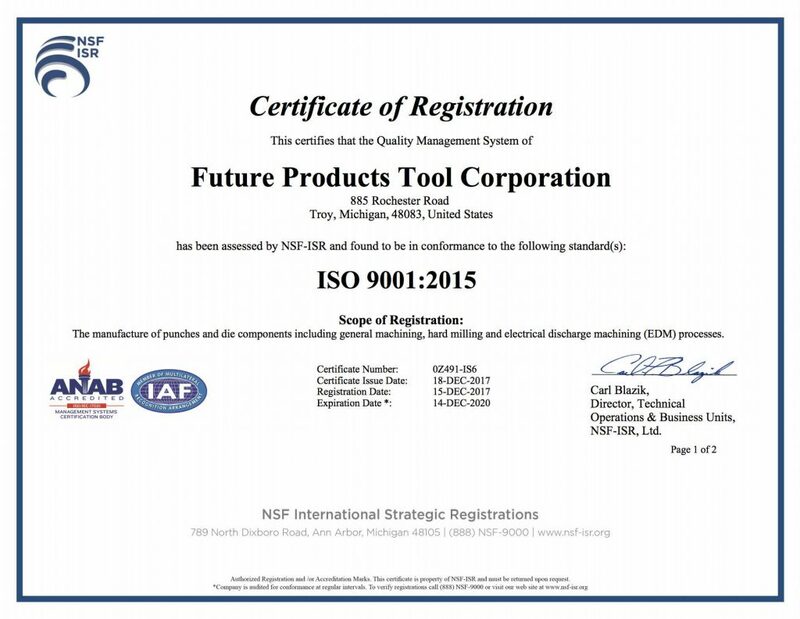 Future Products is an ISO 9001:2015 registered manufacturing company serving customers with 5-axis machining, wire and sinker EDM, turning and milling, surface and jig grinding. We support your growth by providing tool makers you can depend on. Future Products attention to detail is recognized in its first-piece-check through final inspection. We consistently make tools built to customer specified requirements and deliver on-time. Combining the best people and technology ensures you have a quality experience from start to finish.